SERVICE.--At Munfordsville, Ky., December, 1861, to February, 1862. March to Nashville, Tenn., February 14-March 3. Guard railroad from Nashville to Columbia until May, and at Decatur May. Expedition to Rodgersville May 13-14. Negley's Expedition to Chattanooga May 28-June 17. Chattanooga June 7-8. Garrison at Rodgersville and guarding Lamb's Ferry until July 18. Moved to Nashville, Tenn., and garrison duty there until December. Hermitage Ford October 20. Nashville November 5. Advance on Murfreesboro December 26-30. Battle of Stone's River December 30-31, 1862, and January 1-3, 1863. Duty at Murfreesboro until June. Middle Tennessee or Tullahoma Campaign June 23-July 7. Hoover's, Gap June 24-26. At Dechard, Ala., July 8-August 15. Passage of Cumberland Mountains and Tennessee River, and Chickamauga (Ga.) Campaign August 16-September 22. Davis Cross Roads or Dug Gap September 11. Battle of Chickamauga September 19-21. Rossville Gap September 21. Siege of Chattanooga September 24-October 27. Reopening Tennessee River October 26-29. Battles of Chattanooga November 23-25; Mission Ridge November 24-25. Reconnaissance to Lookout Mountain November 29-December 2. Duty on Lookout Mountain until May, 1864. Atlanta (Ga.) Campaign May 1-June 21. Demonstration on Rocky Faced Ridge May 8-11. Battle of Resaca May 14-15. Near Cassville May 19. Operations on line of Pumpkin Vine Creek and battles about Dallas, New Hope Church and Allatoona Hills May 25-June 5. Pickett's Mills May 27. Operations about Marietta and against Kenesaw Mountain June 10-21. Pine Hill June 11-14. Lost Mountain June 15-17. Ordered to Chattanooga, Tenn., June 21. Duty guarding trains to the front July to September. Action at Dalton, Ga., August 14-15. Ordered to Decatur, Ala., September 24, thence to Nashville, Tenn., and to Tullahoma September 29. Returned to Nashville and duty there until September, 1865. Old members ordered home October, 1864, and mustered out at Pittsburgh, Pa., November 4, 1864. Battles of Nashville, Tenn., December 16-17, 1864. Mustered out September 11, 1865. On the 18th of October, 1861, the regiment, accompanied by the Seventy-seventh, and Seventy-ninth Pennsylvania, and Muehler's Battery, all under command of Brigadier General James S. Negley, moved by transports to Louisville, Kentucky. On the 24th the brigade was transferred by rail to Nolin's Station, on the line of the Louisville and Nashville Railroad, where it was attached to A. M'Dowell M'Cook's Division, of the Army of the Cumberland. At Camp Nevin, and subsequently at Camp Negley, on the south side of Nolin Creek, the regiment was thoroughly drilled. The Seventy-seventh Regiment was here transferred to General Thomas J. Wood's Brigade, and the First Wisconsin and the Thirty-eighth Indiana were added to Negley's Brigade. The mortality, owing to the unhealthy location of the camp and the excessive wet weather, was very great. About the middle of December the brigade moved to Bacon Creek, and thence to Munfordsville, encamping on the north bank of the Green River, and was engaged in drill, and in picketing the south bank of the stream, while the workmen were employed in re-building the railroad bridge. On the 14th of February, 1862, the spring campaign opened, and M'Cook's Division, breaking camp, marched northward with a view of taking boats at West Point, on the Ohio, and joining Grant in his movement on Fort Donelson. But on arriving at Upton Station, the order of advance was countermanded, and one to countermarch, and proceed to Nashville, was received. The route was principally along the railroad. At Bowling Green a halt was made until a pontoon bridge could be brought up, and laid across Barren River. The division arrived at Edgefield, opposite Nashville, on the 2d of March, and on the 7th crossed the Cumberland, and encamped in Camp Andy Johnson, two miles south of the city. When Buell moved to the support of Grant, at Pittsburg Landing, he left Negley's Brigade to guard the line of communication from Nashville to the front. The Seventy-eighth was detailed upon the railroad from Nashville to Columbia, with headquarters at Franklin. On the 1st of May the regiment rendezvoused at Columbia, and was ordered to Pulaski, to garrison that place. On the 12th General Negley passed through Pulaski on an expedition against rebel cavalry, in which the Seventy-eighth joined. After severe skirmishing the enemy was driven, and finally escaped across the Tennessee River, at Rodgersville, Alabama. Returning, the Seventy-eighth was again stationed at Pulaski, and subsequently was ordered to return to Rodgersville, where it was engaged in garrisoning the town, and in guarding the passage of the river, at Lamb's Ferry. While here several incursions were made across the river, in which prisoners and rebel property were captured and brought off. On the 18th of July the regiment was relieved, and ordered to guard the Tennessee and Alabama Railroad, from Columbia to Elk River. Two weeks later the scattered detachments were hastily called in to Columbia, and the march northward commenced, the Seventy-eighth acting with the rear guard of Buells Army in its race with Bragg for Kentucky. On its arrival at Nashville it was assigned to Miller's Brigade of Negley's Division, and ordered to occupy the defenses of the city. During the absence of the main body of Buell's Army, in its movement north, Nashville was practically in a state of siege, the enemy in considerable force hovering about it, intent upon its capture, and watchful at all points for a favorable opportunity to strike. The garrison was frequently attacked, and sharp fighting ensued. 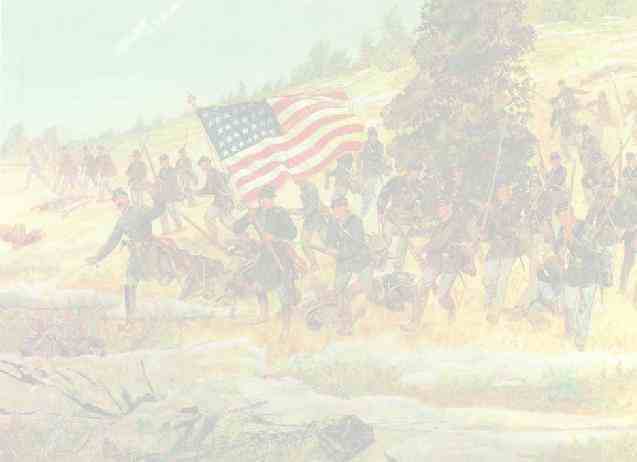 At Lavergne, on the 7th of October, Generals Palmer and Miller attacked Anderson's Camp, routing the rebel force, and capturing some men, with guns, stores, provisions, and tenta, the Seventy-eighth performing a conspicuous part, bearing off two commissioned officers of the Thirty-second Alabama, and a number of privates. It was also engaged at Neely's Bend, White Creek, Charlottsville, and Franklin Pike, in minor encounters, which for the most part resulted in favor of the Union arms. These were usually brought on by aggressive movements of our forces for their own security, or by sallies into the country for supplies for the starving garrison. "While besieged in this city," says a member of the command, " affairs wore a gloomy aspect. Shut out from the world, with no news for months from the army, or from home, surrounded by a vindictive enemy, resolutely determined to capture the capital with the executive members of the government, compelled to fight for every mouthful of food we ate, the condition of the garrison became every day more critical. Yet no one was discouraged, and all were determined to stand by the city, with full faith that under the gallant Negley and Palmer, it would be successfully held. Our expectations were not disappointed, and on the morning of the 26th of October, we saw from our fortifications the victorious legions of Rosecrans approaching the city." The regiment remained at Nashville, engaged in provost guard duty, until the 12th of December, when with the army it moved to Camp Hamilton, six miles south of the city. Here Miller's Brigade was assigned to the Eighth Division, commanded by General Negley. On the 26th the army entered upon an offensive campaign and came up with the rebel army, under Bragg, at Stone Iiver. The rebel force was drawn up a short distance out of Murfreesboro, in a lunar shaped line, covering all the approaches to the town from the north., the right resting across Stone River. Finding that Bragg was disposed to give battle, Rosecrans pushed forward his columns, and on the morning of the 31st had his forces in hand, ready for the onset, M'Cook, with the divisions of Johnson, Jeff. C. Davis, and Sheridan on his right, reaching out to, and covering the Franklin Pike, Thomas, with the divisions of Negley and Roussea.u, in the centre, and Crittenden, with Palmer, Wood, and Van Cleve on the left resting on the river. At sunrise Rosecrans had thought to cross the stream, and strike heavily the rebel right, but at that hour the rebel chieftain attacked the Union right. Trusting that M'Cook could hold him in check, and not realizing that the attack was a determined one, and in concentrated force, Rosecrans was still intent upon carrying out his original plan of battle. But events soon convinced him that the attack on his right was in earnest. Bragg had massed his troops, and was making a desperate assault. Too weak to withstand the shock, Johnson, Davis, and Sheridan were, in turn, forced to give way, losing largely in artillery. Negley stood next. The fighting on his front had already become desperate. "Pushing out," says an eye witness, "to the cedar forest, where Negley's gallant division was struggling against great odds, trusty Sheridan was met, bringing out his tried division in superb order. Negley was still fighting, desperately, against odds." At nightfall the right and centre had been driven back, but the army still occupied a good defensive position. Bragg sent off to the rebel capital glowing bulletins of his victory, supposing that Rosecrans was so utterly broken that he would take to flight under cover of the darkness. In the morning, however, to his astonishment, he found Rosecrans still stubbornly holding his ground, and ready for battle. It was New Year's day, 1863, and neither party seemed disposed to strike. Rosecrans, still intent on his original plan, threw a portion of his troops to the right bank of the river for the purpose of turning the enemy's right, and reaching Murfreesboro in his rear. The Seventy-eighth lost, in this engagement, one hundred and ninety men in killed and wounded. Captain William S. Jack was mortally wounded, and Lieutenant Matthew J. Halsted among the killed. After the occupation of Murfreesboro, which occurred on the 5th, the regiment was assigned to provost guard duty, the victorious army encamping around about the town. The army was here organized in three corps, the Fourteenth commanded by General Thomas, the Twentieth by General M'Cook, and the Twenty-first by General Crittenden. The Seventy-eighth was assigned to the Third Brigade, Colonel Miller, Second Division, General Negley, Fourteenth Corps. On the 20th of April the regiment was relieved from provost guard duty, and joining the brigade set vigorously at work preparing for an active campaign. About the middle of June, Colonel Miller was relieved of the command of the brigade for other duty, and Colonel Sirwell succeeded him, Lieutenant Colonel Archibald Blakeley taking command of the regiment. On the 24th of June the summer campaign opened, the Army of the Cumberland moving upon the rebel intrenched position at Tullahoma. In the maneuvers, by which the enemy was turned out of his stronghold, and forced to retreat across the Cumberland Mountains and the Tennessee River, the regiment participated, but without serious loss. On the 8th of July the regiment, with the balance of the corps, went into camp at Dechard, where the troops were engaged in general field and camp duty, and organizing and drilling for the fall campaign. Bragg was well seated in his chosen position at Chattanooga, protected by the mountain fastnesses, and in apparent security from attack. On the 15th of August Rosecrans broke camp, and set forward in search of the rebel army. He was under the impression that the rebel leader was averse to fighting, and only intent upon covering home and Atlanta. That he might cut off Bragg's way of retreat, and bring him to bay, he resolved to cross the Tennessee, and strike boldly out over the mountains to Lafayette. Following, for the most part, the line of the Nashville and Chattanooga Railroad, the regiment moved with the army, crossed the Tennessee River, on the night of the 1st of September, at Stevenson, Alabama, passed up the south side of the river to a point opposite Bridgeport, and thence across the Sand Mountain range, where were encountered almost insurmountable difficulties in making the transit, the men tugging at the guns when the strength of the beasts failed. In passing to the eastern slope the column encountered an impassable gorge, a hundred feet wide and fifty deep. Company C, of the Seventyeighth, under command of Lieutenant Brinker, was ordered forward to bridge it, and by morning had the work completed, over which the whole army passed. Descending into Lookout Valley, the regiment was ordered to take possession of a mill on the way, and while a portion of the command was riding hither and thither in the valley, gathering in grain, the remainder was grinding and delivering it to the passing army. With Thomas' Corps it took the van, and pushed on over Lookout Mountain and Missionary Ridge into M'Lamore's Cove, in the valley of the Chickamauga, Negley's Division moving rapidly out, towards Lafayette. At Dug Gap, in Pigeon Mountain, the range which shuts in the Chickamauga Valley on the east and separates it from the valley of the Peavine, the enemy was unexpectedly met, and the division soon found itself confronted by an overpowering force. The dispositions were quickly made to check his advance. A detachment of the Seventy-eighth, of less than a hundred men, held, for over two hours, a massed force of the enemy, successfully baffling every attempt to advance. Baird's Division finally came up, and enabled it to withdraw in safety. During the night of September 11th the two divisions retreated to the base of Lookout Mountain. The loss here was four, killed and wounded. It was now apparent to Rosecrans, that Bragg, instead of being intent upon retreating, was determined to fight, and the unwelcome intelligence was borne to him that his adversary had been reinforced by Walker, from Mississippi, Buckner, from East Tennessee, and a powerful veteran corps under Longstreet from the Army of Virginia. Quickly summoning in his scattered forces, be prepared for the worst. The chief danger now was that Bragg would interpose, and cut off the way to Chattanooga. The general movement was accordingly to the left, while a bold front was kept towards the Chickamauga. Until the morning of the 17th the regiment remained at the foot of the mountain, when the corps of M'Cook having crossed the Lookout and Mission Range, it moved up towards Rossville some six miles, and on the 18th was deployed along the Chickamauga River, to prevent the crossing of the enemy to intercept the movement of M'Cook to connect with Thomas. The night was fearfully cold, and the movements were made in the darkness, through an almost impenetrable jungle. Heavy firing on the morning of the 19th far to the left, showed that the enemy had crossed the stream in force, and was struggling with Thomas for the possession of the Bossville Road. In the afternoon the regiment was withdrawn, and passing Crawfish Spring, and in rear of General Jeff C. Davis' Division, which was hotly engaged, was pushed to the front, and, after a sharp skirmish, held the ground until dark. The men lay upon their arms on the field where they had fought, and early on the morning of the 19th the fight was renewed. Through the entire day the battle raged with unceasing violence, the combatants manifesting a desperation rarely paralleled. The right of the Union line was broken and driven in confusion. But the left, where Thomas stood, though forced back from its original position, remained firm. The division fell back to a position assigned to it at tossville Gap, where it remained until the night of the 21st, when the whole army retired to Chattanooga. On the following morning a battle line was formed in front of the town, and the day was spent in momentary expectation of an attack. For several days succeeding the men worked day and night on the fortifications. The enemy contented himself with closely investing the town. On the 10th of October the farewell order of General Negley, to his division, was received, and the regiment was soon after transferred to the Third Brigade, General Starkweather, of the First Division, General, Richard M. Johnson, of the Fourteenth Corps, General John M. Palmer. The brigade was composed of the Seventy-eighth and Seventy-ninth Pennsylvania, Twenty-first and Seventy-fourth Ohio, the First and Twenty-first Wisconsin, Thirty-seventh Indiana, and the Twenty-fourth Illinois. Colonel Sirwell resigned on the 17th of November, and was succeeded by Lieutenant Colonel Archibald Blakeley. From the 22d of October until the 23d of November the Army of the Cumberland was closely besieged. Day and night, shot and shell were plunged into the camp from all the prominent positions on Lookout Mountain and Mission Ridge, the troops, the greater part of the time, in a state of semi-starvation. In the meantime General Rosecrains had been superseded by General Grant, and reinforcements and supplies began to arrive. On the 23d, 24th, and 25th days of November, were fought the decisive battles of Lookout Mountain, and Mission Ridge, which swept Bragg from all his strongholds, environing the town, and gave his columns to precipitate retreat. In the contest in front of Mission Ridge the Seventy-eighth participated, but without serious l1ss. On the 29th the brigade was sent on a reconnoissance to the summit of Lookout Mountain. Ascending by the Summertown Road, it proceeded as far south as Johnston's Crook, whence it returned to Summertown, arriving on the 2d of December. The Seventy-eighth Pennsylvania, and the Twenty-first Wisconsin, under command of Colonel Blakeley, were assigned to duty on this, now historic mountain, the field of the famous Battle above the Clouds. As the range extends south, and directly into the rebel lines, the position was isolated and exposed. Colonel Blakeley immediately surveyed, and laid out a line of earthworks, across the mountain, which was rapidly thrown up and rendered the position easily defensible. Supplies had to be brought up the mountain, by the one narrow winding road, upon mules scarcely able to walk. Notwithstanding the scarcity of provisions, and the heavy details for picket and fatigue duty, the men bore all cheerfully, and performed every duty with alacrity. On the 8th of April, 1864, Colonel Blakeley resigned, and the command devolved on Colonel Sirwell, who had been re-commissioned, and was now remustered. At the opening of May the regiment broke camp on the mountain, and re-joined the brigade at Graysville. In the hard fighting of the campaign which ensued, the Seventy-eighth bore well its part, participating in the engagements at Tunnel Hill, and Buzzard Roost Gap, on the 7th of May, at Resaca, on the 14th, at Dallas, on the 17th, at New Hope Church, on the 1st of June, and in the protracted struggle before Kenesaw Mountain. While yet in front of Kenesaw, the regiment received orders on the 21st of June to proceed to Chattanooga, for the purpose of guarding trains while on their way to the front. For three months it was thus employed, at the expiration of which it was ordered to Tullahoma, and was assigned to the Fourth Division of the Twentieth Corps. But on the 24th of September, when on the eve of moving, the order was countermanded, and one was received directing it to move to Athens, Alabama. Arrived at Decatur, its destination was again changed, and it was now directed to report, without delay, to General Rousseau, at Nashville. Upon its arrival it was pushed forward to Pulaski, arriving there at noon of the 27th, and in time to participate in an action which defeated the enemy who had assumed a bold front, and was threatening the place. On the 29th it returned by rail to Nashville, and was immediately ordered to Tullahoma, which was now threatened by the enemy, arriving the same night. Remaining but for a day, it returned to Nashville, and was again sent south as far as Franklin, where it was mounted, and moved with the force under General Rousseau, against the rebel cavalry harassing southern Tennessee. The enemy fled before him, and was driven across the Tennessee River into Alabama. The regiment returned to Nashville, arriving on the 17th of October, six days after its term of service had expired. On the following day it received orders from Major General Thomas, relieving it from duty in the Department of the Cumberland, and directing its return to Pennsylvania, for muster out. It embarked immediately, and moved, by the Cumberland and Ohio Rivers, to Pittsburgh, and thence by rail to Kittanning, where on the 4th of November it was mustered out of service. The recruits and veteran volunteers remained at Nashville, under command of Lieutenants Torbett and Smith. To these, the Governor of Pennsylvania assigned eight new companies, bringing the recruited force up to the minimum regimental strength, and subsequently commissioned Major Bonnaffon Colonel, Henry W. Torbett Lieutenant Colonel, and Robert M. Smith Major. The new regiment, as thus organized, remained on duty at Nashville, and participated with the Army of the Cumberland under Thomas in that brilliant campaign near the close of the year, 1864, which swept the rebel army from Tennessee, and was finally mustered out of service on the 11th of September, 1865.